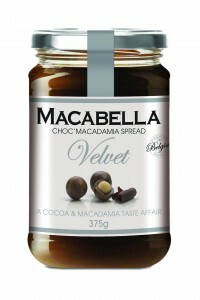 A ‘smooth’ version of Macabella Choc’Macadamia spread will be launched into Woolworths supermarkets across Australia. The spread is being introduced to consumers after the original ‘crunch’ version won 2016 Product of the Year in the Spreads Category. Choc’Macadamia spread is a mixture of cocoa and macadamia nuts with the smooth version containing less visible pieces of macadamia. The Macabella brand is owned by Australian company Buderim Group Limited which owns Buderim Ginger. The spread can be used on any variety of foods including croissants, crepes, fruit or toast. Its recommended retail price is AUD$4.99 for a 375gram jar. BFree are now selling quinoa and chia seed wraps in Woolworths supermarkets.